Perhaps the biggest change in the way we engage with media is the ability to stream video content, shifting away from the traditional television. Keeping up with the change in the medium, commercial ad breaks have become increasingly shorter- with ads decreasing from segments of 30 seconds to only 18 or sometimes even shorter. It's clear that viewers are less interested with watching commercials than ever. How then will marketers continue to reap the benefits of one of the most expensive outlets of advertising? 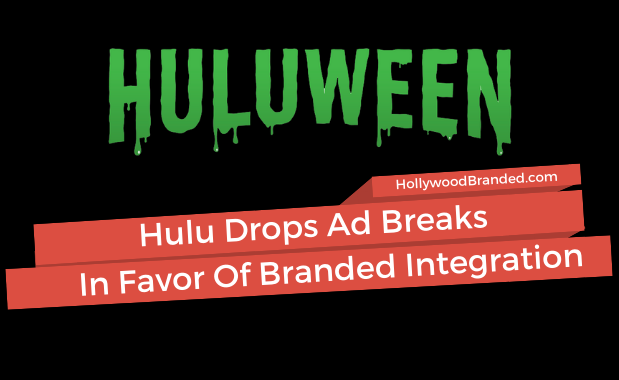 In this blog post, Hollywood Branded examines the changing landscape of television advertising, focusing on the new direction Hulu announced, as the streaming service will be reducing traditional ad breaks in favor of branded content. Why Is Organic Product Placement Better? Our team loves data, research and stats - and when we can't find answers to questions our clients and potential clients ask, we'll take it to the next level and run a survey ourselves. One of the questions we are asked the most about is what case studies we have - literal proof is in the pudding that product placement works. And one of the survey factoids that has continuously been brought to light is that the majority of consumers far prefer branded content to more traditional forms of advertising. That's not to say that all ads are not good advertising tools - but ads that haven't been crafted to be stories to themselves aren't typically as well received as product placement organically embedded into the content that viewers enjoy. Basically, people aren't that interested in being clunked over the head by brands trying to shout their messaging from the roof tops. Imagine that. 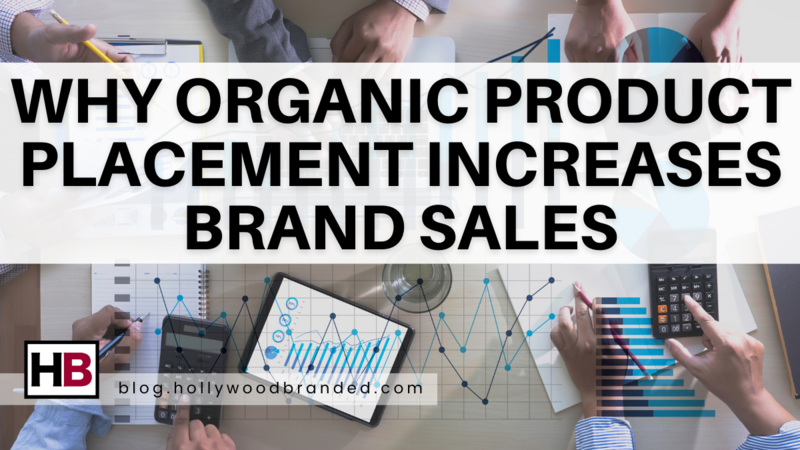 In our blog, Hollywood Branded shares our infographic on organic product placement, stats from our product placement survey, and provides detail to the types of product placement available for brand partnerships. For a long time, common questions you'd hear people ask in passing conversation have typically included TV, music and movies. And now a new conversation starter has firmly placed itself in the ring: what podcasts do you listen to? Since the NPR podcast, Serial, took the world by storm in 2014, podcasts have become one of the most popular forms of entertainment and news media. As the market for podcasts has expanded, so has the ability for advertisers and podcasters to collaborate and effectively support each other. 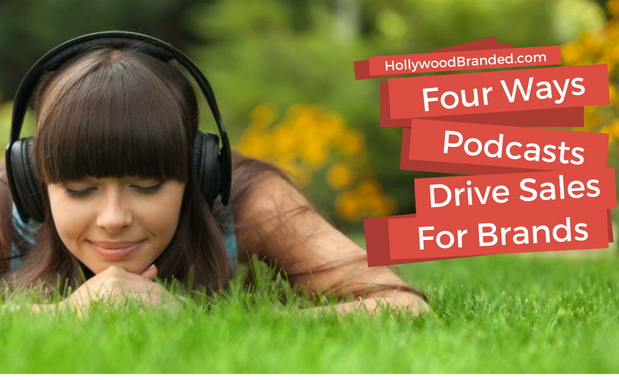 In this blog, Hollywood Branded examines 4 ways brands use podcast advertising to drive sales, and discusses the benefits of marketing through the medium of podcasts. When viewers watch movies, they often think that what they see on screen was what the writers originally wrote. But in the case of product placement, that isn't quite what happens. In fact, a brand can often have an active role at the table discussing how to better portray and position their brand within content. Which is were our agency, and others like ours, comes in as we are experts at leading those conversations to ensure that the production doesn't lose their creativity and absolute sheer genius of what they have written, and that the brand isn't lost along the way, as the partnership is crafted. 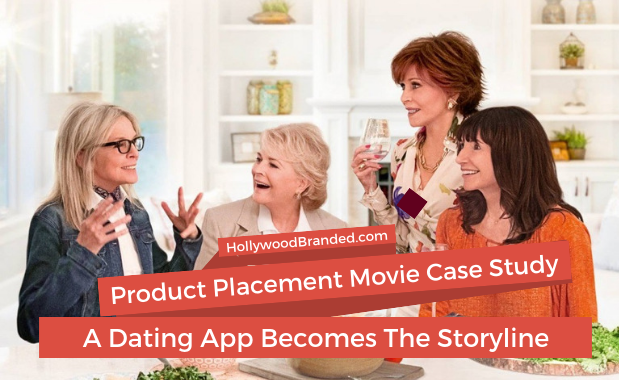 In this blog post, Hollywood Branded shares a product placement case study and behind the scenes look into how one such partnership was create; and how Bumble made its way onto Candace Bergen’s iPad, and subsequently into the hearts of millions of women watching in theaters. It seems these days almost everyone and their mother has their very own podcast. In the endless sea of the varying podcast channels available today it can be confusing and a lot of times super difficult to decide which ones are actually worth dedicating a listen to. There is hope however for the newly introduced podcast listener. Fortunately there is an absolute bevy of engaging and captivating podcast shows that feature some of today’s biggest Hollywood stars both as hosts and interviewees. The popularity of podcasts in the last couple of years has absolutely skyrocketed and the involvement of some of today’s biggest names has without a doubt played a part in its rise. And one of the interesting opportunities for brands is that this is a whole new platform to be able to get involved in. 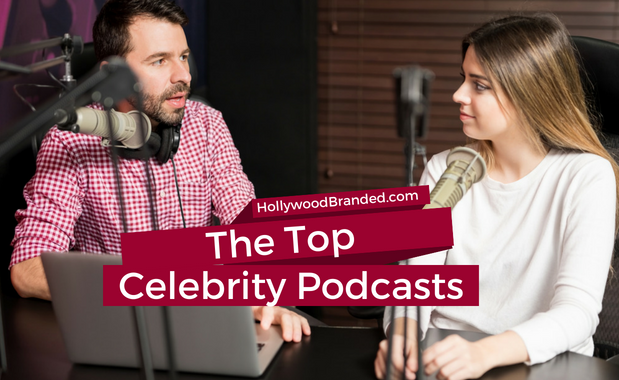 In this blog, Hollywood Branded shares some of today's most popular podcasts, and discusses why brands should explore the opportunity for branded content integration into podcasts.